Let's look at ENR's charts to know when to plug in. Stocks extended losses as a series of speeches from Fed members highlighted a more hawkish tone. Barnes & Noble, which plans to separate its educational business, could have a breakup value of over $35 a share. U.S. stocks opened slightly higher on Thursday as the Labor Department said 223,000 jobs were created in the United States in June. Beyond Greece, Puerto Rico and the June jobs report, Investors should also be aware of a big number of corporate spin-offs this week. These new companies may offer some intriguing opportunities. In Thursday's Analysts' Actions, TheStreet highlights an upgrade for AT&T (T), while Wendy's (WEN) and Energizer (ENR) get hit with ratings cuts. What will China do to stabilize its economy? Here's the real reason behind Berkshire's Duracell acquisition. He gets a major brand for 50% less than the market cap of Energizer. Kimberly-Clark offers a solid dividend yield in a rising rate environment. Portfolio Manager David Peltier analyzes if the stock is a buy. Express bucks the bullish trend in retail as the Dow tries to post the first nine-day gain since 1996. Presented by Stocks Under $10 Portfolio Manager, David Peltier. Here are a handful of ideas from one of the highest-returning funds in our database. 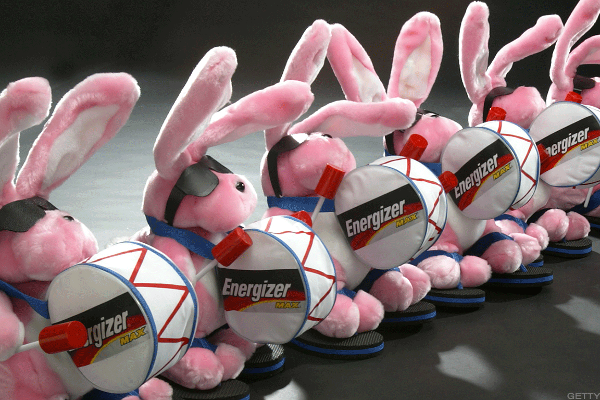 Why I'm Not Investing In Energizer Holdings, Inc. Today.